September has been packed with momentous happenings for my clan. Last week, our big to-do was the acquisition of a driver’s license for my second son. He completed the rigors of training and passed his final driving test with unexpected excellence. The “unexpected” qualifier is fair. My son agrees. For many months, he and I have been like alley cats shut tight in a room together. Confined in our four-wheeled cage, instructional drive times exposed our best and worst. His fear and anxiety led to paralyzing uncertainty. His uncertainty met my underdeveloped relational patience, instigating several tense, emotional interactions. Voices were raised, feelings were hurt, the steering wheel was grabbed — by both of us. I was expert at inflaming his anxieties. He was a master at initiating migraines. Squabbling cats, we were. Together, week after week, we worked to condition his on-the-road actions and reactions. Our key phrase was “drive defensively confident.” Start. Stop. Repeat. Again and again. Speed control, braking distance, parallel parking, and the “simple made difficult” four-way stop. But things weren’t clicking. I’d show him and tell him dozens of times. 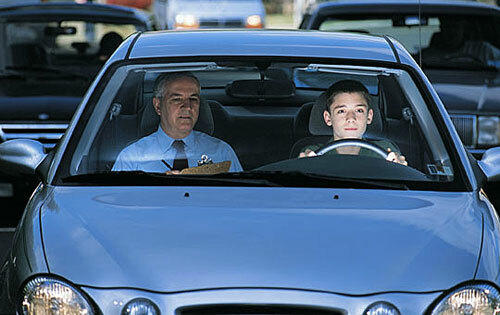 I had him read the driving manual — twice. He knew the rules; why couldn’t he just do it? Ever have an “Aha!” moment? That flash of inspiration or fresh idea you can’t wait to activate? Today I had an “Aha.” An epiphany, sort of. A revelation that brought me not a novel idea or problem solution, but something that has everything — and nothing — to do with my son and driving. For a long time, decades really, I’ve known God’s call upon me to be generous. To give quickly, willingly, and wisely of my time, talent, and financial resource. I’m fully onboard with that principle. Benevolence should be core to the Christ-follower. Yep, count me in. Yet, for all the messages I’ve heard, books I’ve read, and teaching I’ve delivered, my Father in Heaven needed to bring a personalized intersection of my head, heart, and behavior. A divinely crafted flash of enlightenment. His “Aha!” from this morning leaves me grateful, and sad. Grateful for His patient, careful tending to my soul. Sadness for my stunted growth toward being a whole-hearted, generous man. Waves of regret roil as I replay episodes of stingy relating. Moments when I allowed my fear to blanket God’s invitation to trust. To give — even a little. To be an obedient Kingdom partner with what He has entrusted to my stewardship. In two months my family will be in Kenya for a short stint. It’s an experience that requires us to link arms with friends and family, asking for their participation in our adventure through fervent prayer and generous giving. I’m discovering, with God’s “Aha,” that I’m an eager advocate for generosity when soliciting for my cause. But when others make similar requests of me, eagerness battles reticence. Dane Ortlund said, “We will, every day, be hypocritical in some way. Our creed outpaces our behavior.” Truth — knowledge for right living — requires action. It suffocates when confined to the realm of the mind. If what I know fails to penetrate my heart and activate my hands and feet, it is useless, lonely, and incomplete. My “Aha!” was a generous gift from my Father in Heaven. A well-timed reminder. Like my son with his driving, I’m a bit slow with assimilation. But there’s forgiveness and fresh starts. Despite a bumpy beginning, my son progressed to near perfection when tested on his driving skill. I’m proud of him. I hope to progress similarly, pleasing my Lord at the next opportunity to be generous with His resources.